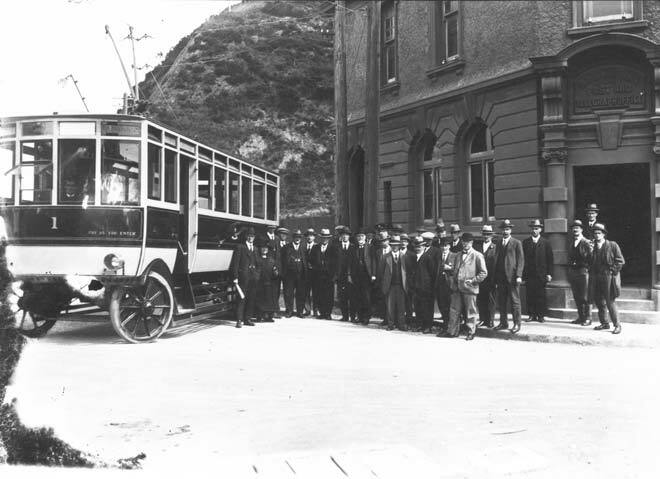 Wellington’s first electric trolleybus, run by the Wellington City Council, stands outside the Kaiwharawhara Post Office in 1924. The first trolley line ran from Thorndon to Kaiwharawhara until 1932 when it closed. Trolleybuses were also introduced in Auckland, New Plymouth, Christchurch and Dunedin.